Oil on canvas signed C. Lucy. 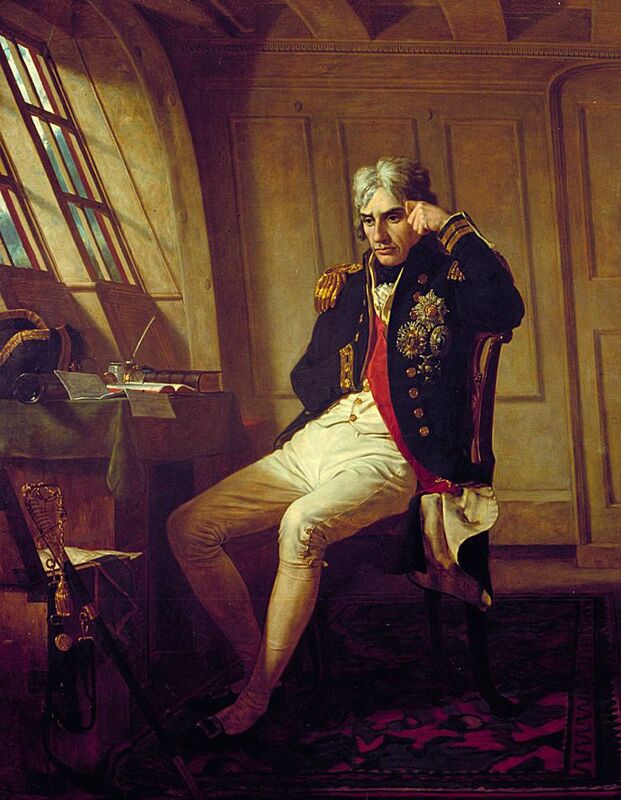 depicting Nelson seated at his desk in the Victory on the morning of the Battle of Trafalgar. He is wearing a Vice Admiral's undress uniform with his four stars of knighthood on the left breast and the Bath ribbon underneath his coat. He is not wearing neck medals. The face most closely resembles the Hoppner portrait, the Anras waxwork and the Thaller and Ranson bust. The famous codicil to his will, leaving Emma Hamilton as a legacy to his country, lies on the desk, together with his hat and telescope. His sword leans against a chest in the left foreground. This Portrait of Nelson Art Print is created using state of the art, industry leading Digital printers. The result - a stunning reproduction at an affordable price.